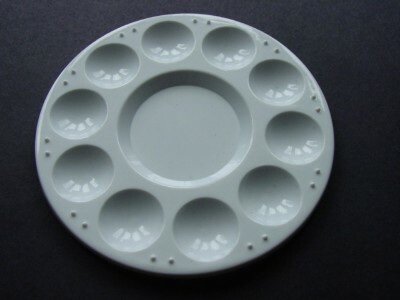 10 well-round plastic palette. Center well is a flat surface for color mixing. 7'' in diameter. It is made from tough plastic which ensure the flow of water on palette surface.